The new CyclelivePlus-Zannata UCI Women’s team is to be created around 2010 Ronde van Vlaanderen winner Grace Verbeke, the CyclelivePlus website has announced. 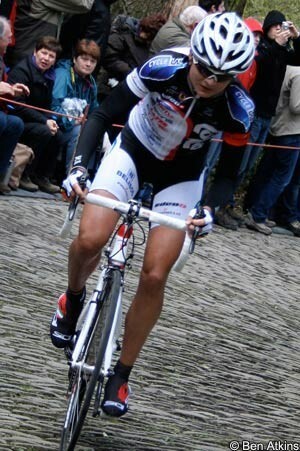 The 28-year-old from Roeselare, West Flanders, is looking to make a comeback after illness and injury forced her to miss the entire 2012 season; her winter training was disrupted when she was hit by a truck in October 2011, but a series of health problems in 2012 - including Cytomegolalievirus - cost her the chance to ride at her second Olympic Games. The other big name to join the new team will be Australian Carla Ryan, who is the last of the stars from the folding AA Drink-Leontien.nl team to find a home for 2013. The 27-year-old Victorian should get the chance to recapture some of her strong results of previous years as she moves on from the overcrowded roster of the Dutch team. The two Netherlands riders on the team will be Marissa Otten (Specialized DPT) and Monique van de Ree (Skil-Argos). In addition to the Europeans and Ryan, the team has announced that the final rider will be an as-yet unnamed American, who will be making a comeback to the sport after more than a year’s absence. Latoya Brulée, Lieselot Decroix, Daisy Depoorter, Annelies Dom, Marissa Otten (Ned), Carla Ryan (Aus), Monique van de Ree (Ned), Annelies Van Doorslaer and Grace Verbeke.